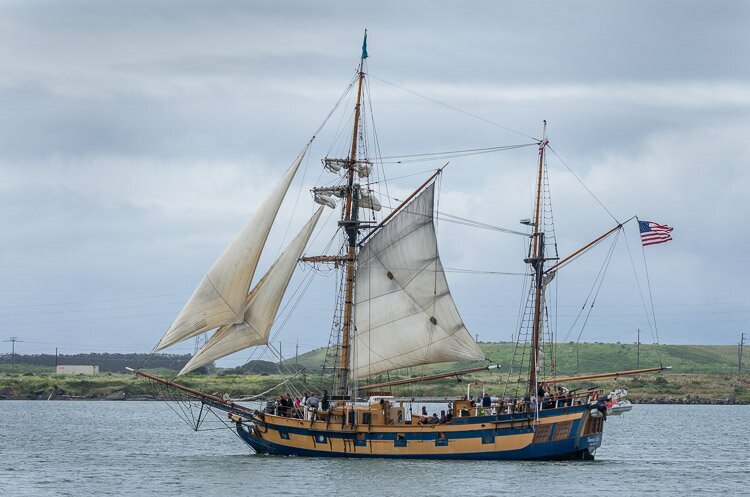 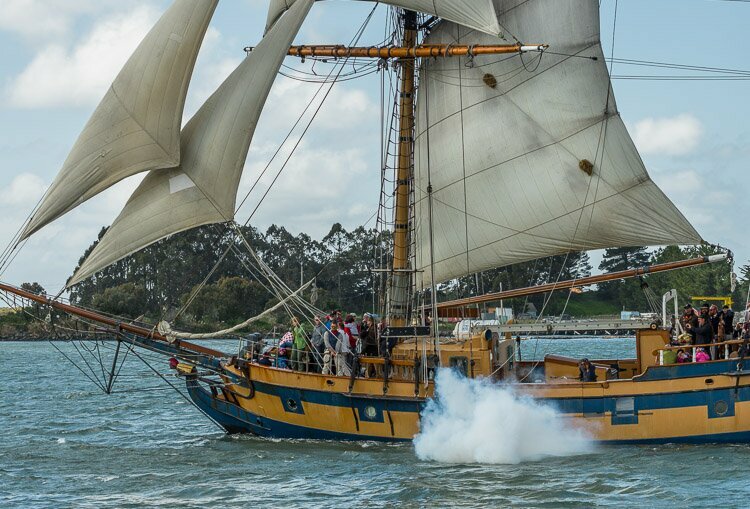 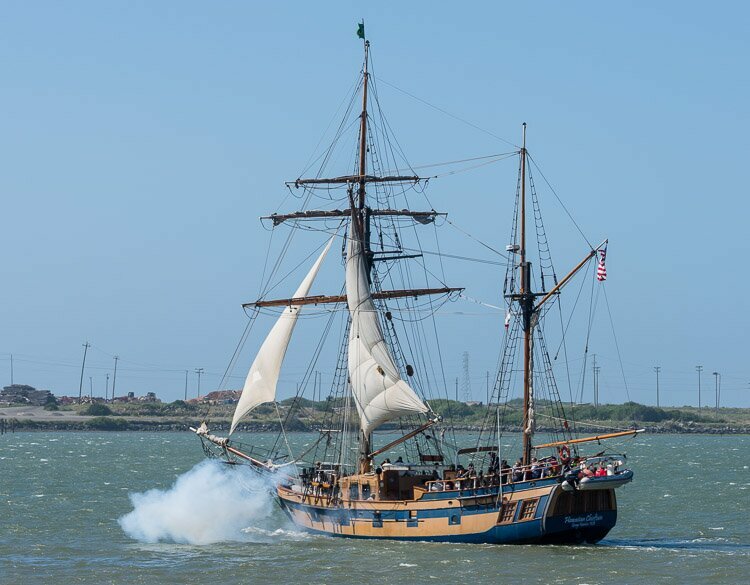 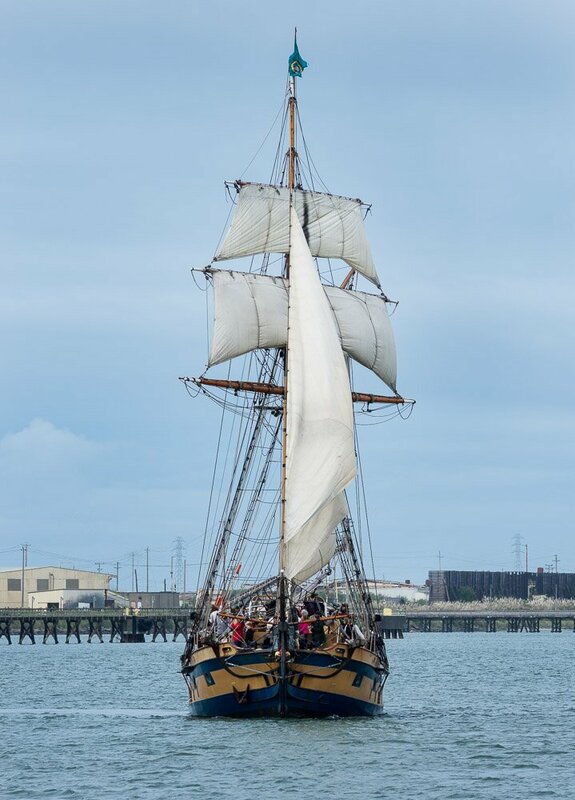 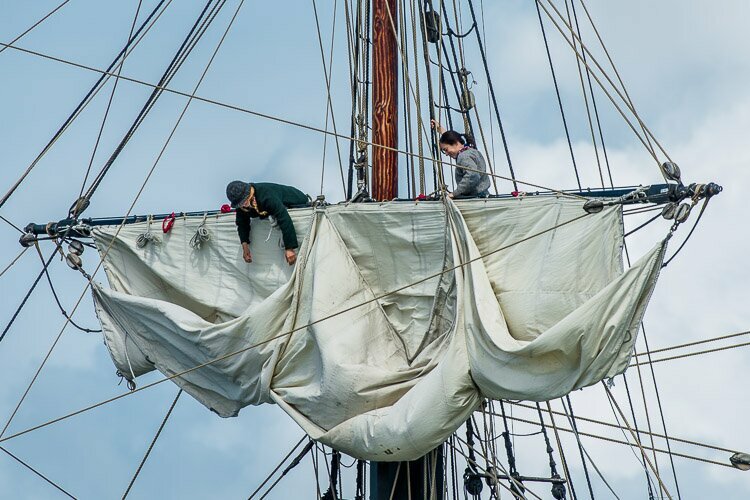 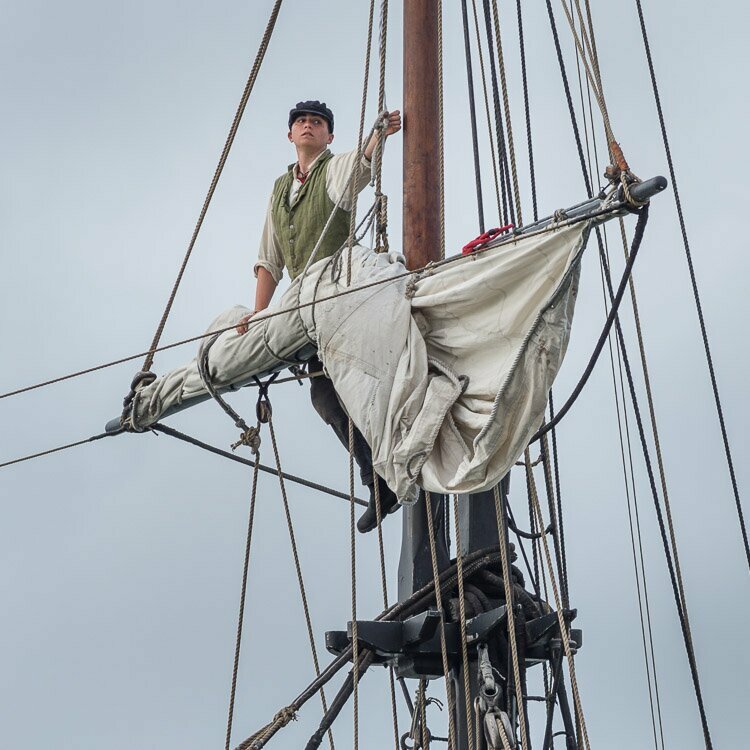 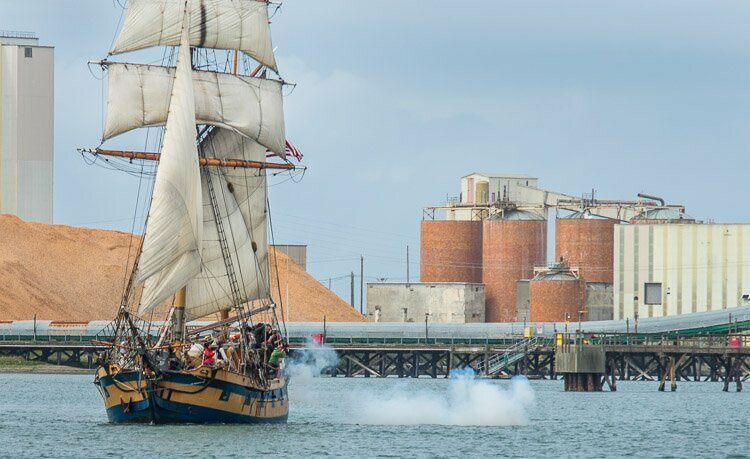 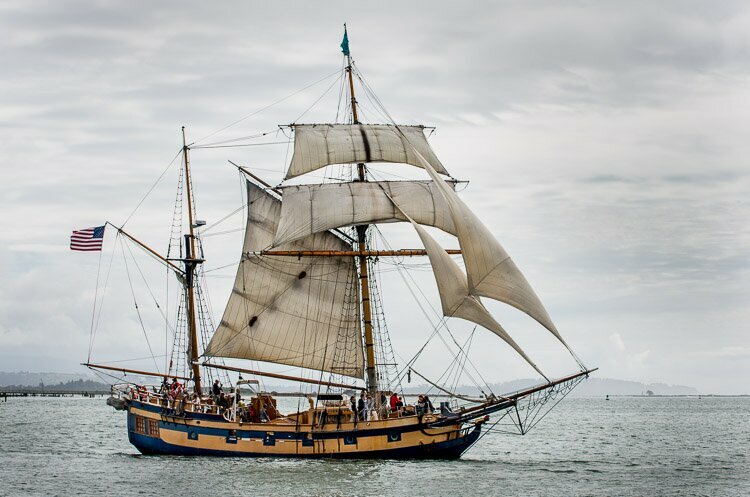 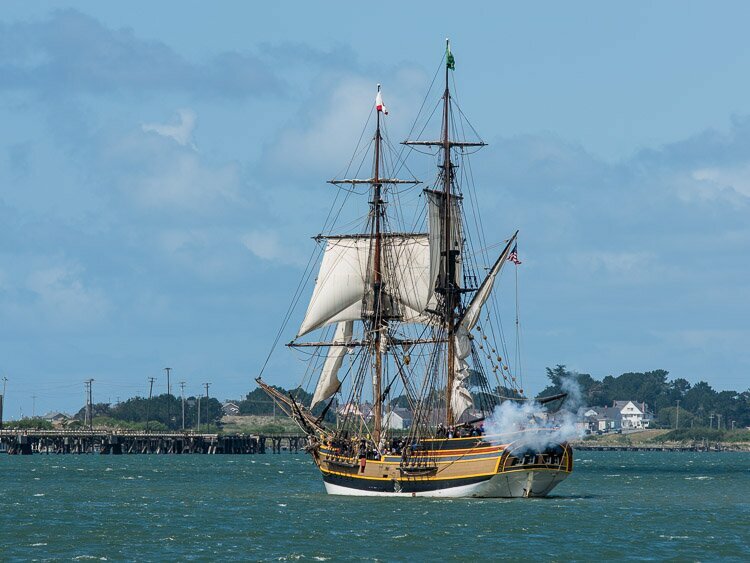 In my last post, I introduced the “tall ships,” the Lady Washington and the Hawaiian Chieftain, which visited Humboldt County earlier this year. 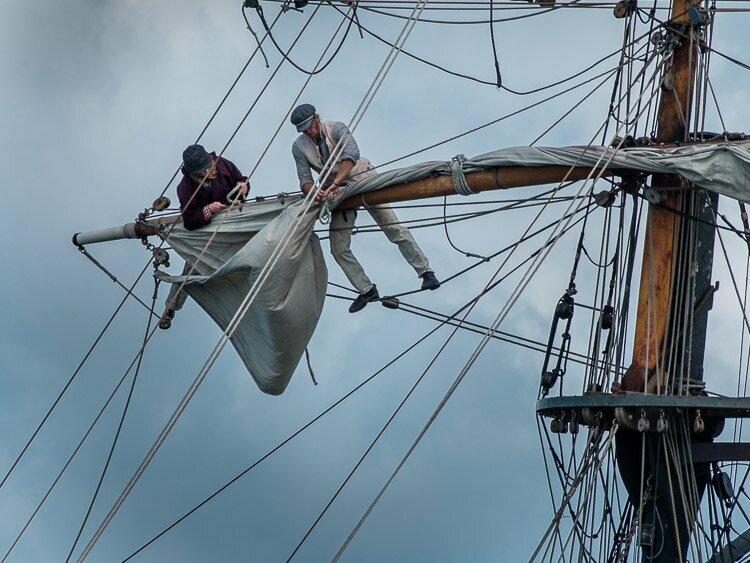 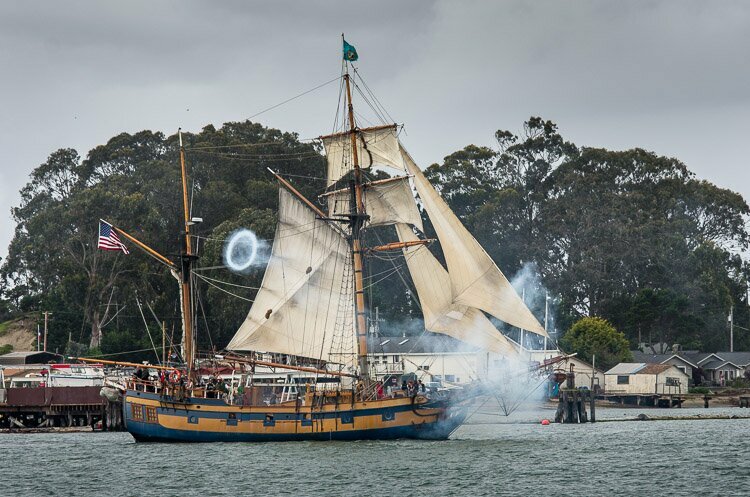 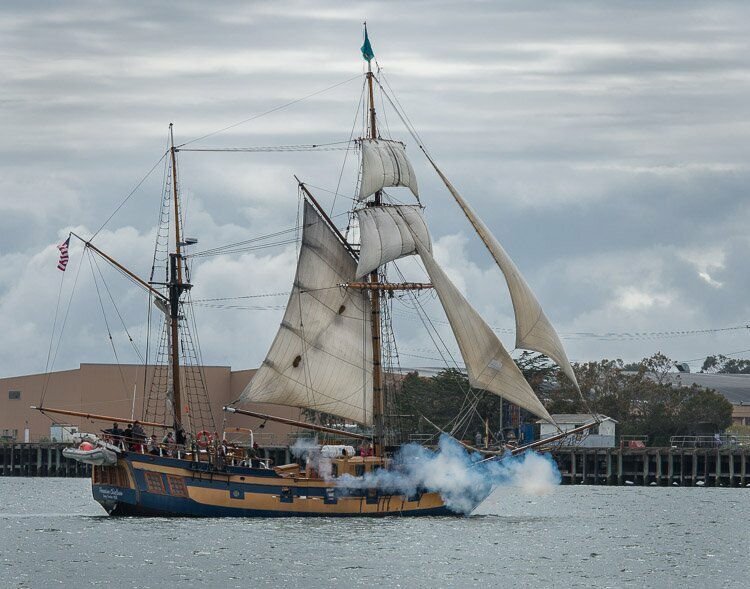 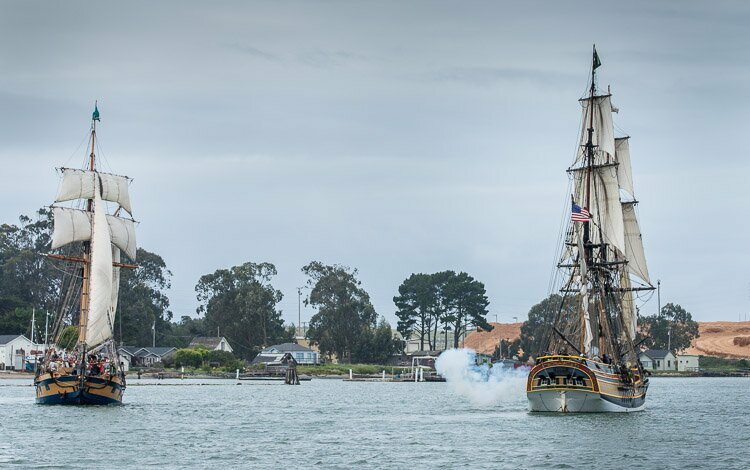 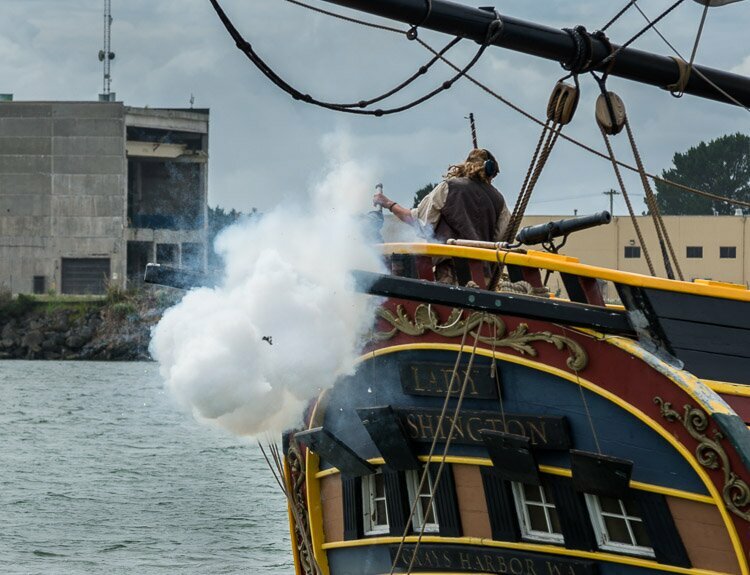 In this post, we will examine the ships as they ventured out into Humboldt Bay, where they engaged in a mock battle. 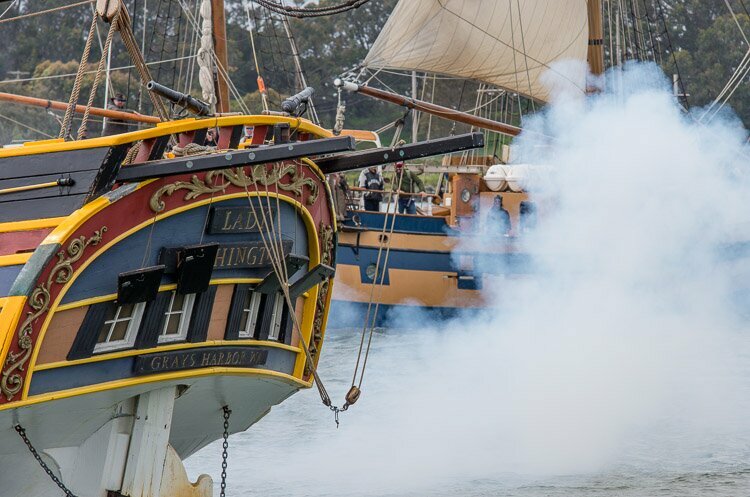 Photographing the ships in the bay isn’t necessarily the easiest thing in the world, as the backgrounds can be a little strange, the light isn’t always coming at the best angle, and you can’t always get the right angle to shoot the darn things.